Hi, my name is Jordan, and I am a competitive shopper. I love to shop no matter what. Throw in the words “special collection” or “limited quantity” or “sample sale” and my competitive nature comes out and I am IN IT TO WIN IT. Longtime readers of this blog will know that anytime Target does a collaboration with a brand, I tend to go a little nuts. I absolutely killed it during the Missoni for Target (remember?! 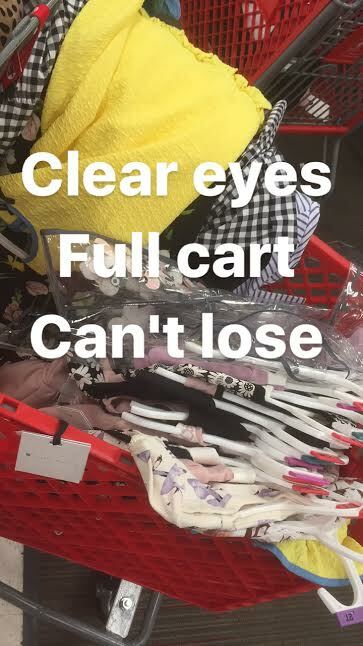 I am laughing so hard re-reading this recap I wrote SIX YEARS AGO) and Lilly for Target collections – I have a very specific strategy that involves staying up late the night before until the items go live on the site, and then waking up early to go wait in line at my local Target and buy whatever else I may want in person. 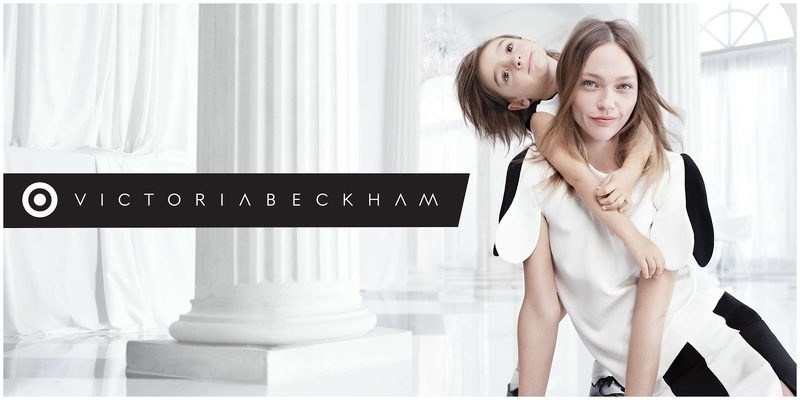 So Victoria Beckham for Target hit stores yesterday and I was EMOTIONALLY READY. I made plans to go with my friend Natalie at 7:30am on Sunday morning (ugh) and sadly fell asleep before midnight on Saturday night BUT as luck would have it, the shopping gods smiled upon me and I coincidentally woke up at 5am. I rolled over to grab a pillow and in my sleepy haze it occurred to me that the collection was probably live – AND IT WAS! So I quietly got out my laptop and dropped like $380 while my darling husband slept innocently next to me, probably dreaming of a time when our credit card bill was not insane. And then I was too wired so I laid in bed excitedly until my alarm went off and it was time to shop again IN PERSON THIS TIME. so I’m not including links – but it’s worth it to go check! It seems each time Target does one of these collaborations, it gets better and more streamlined and less chaotic. There was an orderly line outside the store, no one ran when the doors opened, the rules were made clear to cut down on reselling (you could only buy two of each item in a particular size), and there were sales associates everywhere putting things back from fitting rooms so you could potentially grab your size if it wasn’t available on the racks anymore. It was actually quite organized and an overall lovely shopping experience! 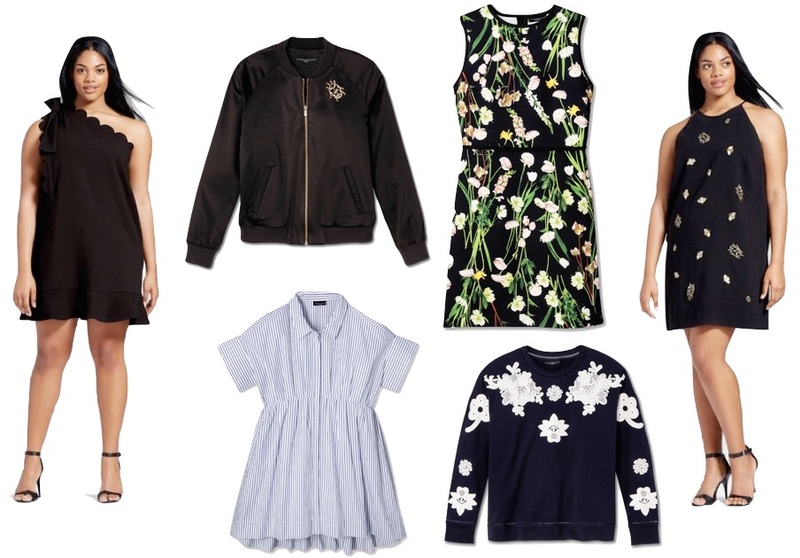 Each time I shop one of these Target collabs, I think to myself, “How will they ever top it again?” And yet they do. From Missoni to Lilly to VB, I have loved it all and I can’t WAIT to see who they partner with next. Fingers crossed for Chanel for Target!? A girl can dream.